GBC Breakaway Lanyards are an easy and stylish way of wearing ID badges. Design includes flat woven nylon and a metal hook fastener. 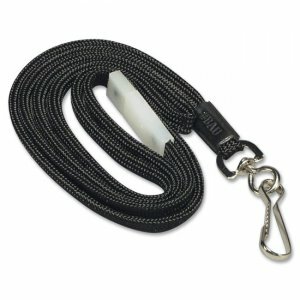 Each lanyard features a plastic safety breakaway snap that attaches and releases easily when tension is applied. Reattach with a single snap.